Yes, right after Easter, I’ve got this to share – just another Project Life spread. This time to record what we did on Friday, after welcoming back hubby from the air-port. We went to our familiar place – Marina club of Sutera Harbor Resort. Tried out their breakfast platter with porch egg and discovered that I pretty much prefer sunny-side-up instead of porch egg. Plus, I prefer McD’s pancake. Anyhow, we finished our breakfast. It has been such a long while that I didn’t create any scrapbook page and last week I sat down in my scraproom table, looking at those photos taken during Chinese New Year, and told myself I must create at least a page. Some how I’ve made several including Project Life spread of photos taken years back in Sri Lanka. Using whatever that I have in my stash and Ali Story Word stamp, Prima Flowers and GasicGrey die-cut. Wanted to incorporate the red and green in the photo into the page, thus that combination of colors, a pretty unusual one for me. Yesterday was the last day of celebration for Chinese New Year, our Chap Goh Mei and Chinese Valentine’s Day, it mark the last day of celebration, looking forward to a year fill with happiness this year. Hi there! Hope you’ve had a great weekend! I’ve got myself a bottle of molding paste and some Prima stencils, just couldn’t wait to try them on, and that’s the result of this page – Magic evening. I’ve been playing with the mold by itself and also with some color mist. Those bulging little pedals on the bottom of the page and those teal color leafs are from the molding paste. I had to leave it till it totally dried up then I can continue working with it. 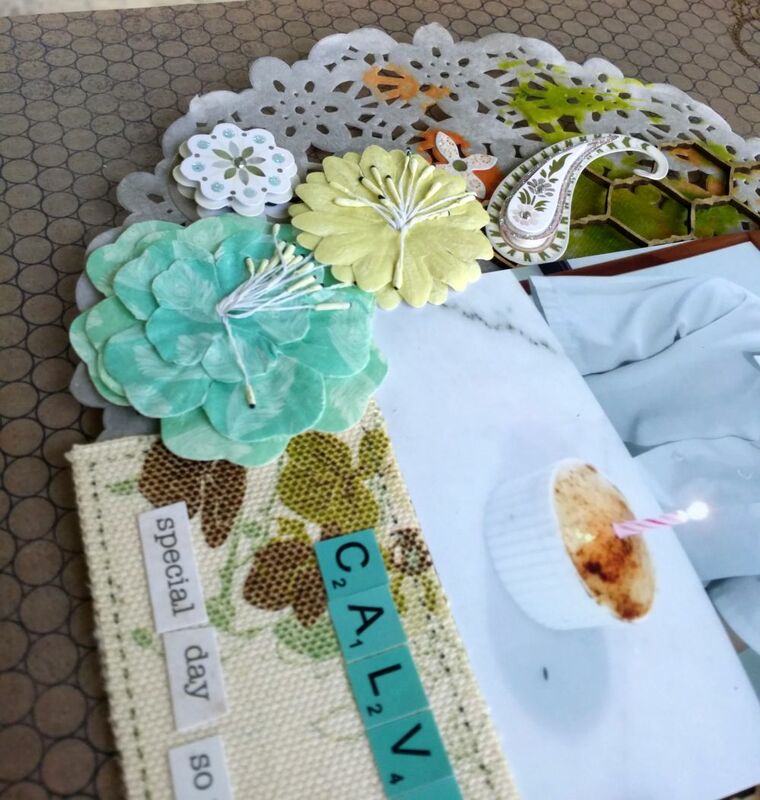 The way how this page come by is inspired by My Creative Scrapbook mix media video that their designer showed, thank you My Creative Scrapbook! Here are some closed-up of the pages showing those pretty Prima flowers and the punched-out butterflies using Martha Stewards punchers. Hope you continue to enjoy the rest of your weekend. Yupe, some stamps are just so versatile that you can use them again and again. That’s what happened to this layout that I’m going to share today. Check out this layout that I’ve used the same stamp – Little Moments, here.. Wanted to use “Little Moments” as my title, but changed my mind since I’ve used it before and would like to try something else. Not a so pretty photo that I’ve taken. It was taken in Sushi King while the boys brought their Chinese Chess there and straight away helped themselves with the game while waiting for their order. Which is absolutely fine to me. Rather than them facing the tab or my phone without talking or interacting with each other. As for what I’ve used.. well, lots of Prima’s flowers and two Basic Grey clips. Love those flower with some brads. Have used border punches too. oh .. and this layout was started from a layout challenge over at MyCreativeScrappers, September Sketch Challenge. Head on over if you are in for a challenge, deadline is October 14. Well, let me know if you are joining the fun and have a fun day and keep up with those life records. Hey there, this post is going to share on a page that is fresh from today’s event, using all Ali Edwards’ stamp from the Craft the Story stamp set. I love Ali’s way in recording stories of the day to day life, about appreciation, about being there and living at the moment. Her blog and ways in telling stories are awesome ways in reminding myself on my life and purpose. Below is a fresh layout that I’ve used all stamps set from her collection. I’ve combined her word’s stamp and story telling stamp set. This round stamp also from Ali’s story telling stamp set. Just love how I can use her stamp anyway and in almost every story. This star is from Scenic Route which I’ve stamped with gold color ink and embossed with glitter embossing powder. 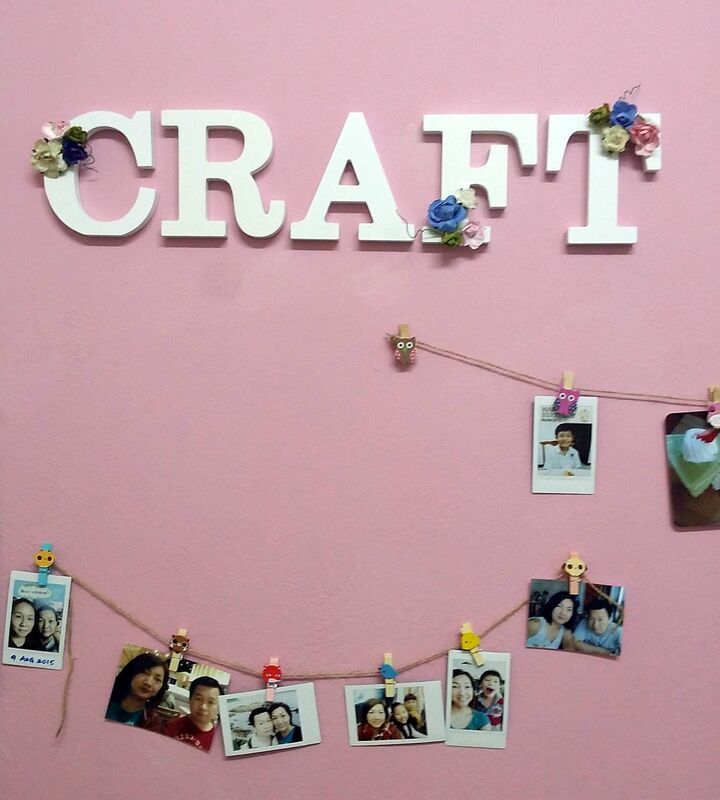 It is fun and really settled me down or rather calm me down while I was doing scrapbook. To me, it is a good way to bring me back to the moment, think back on things that I cherish and work that gratitude that I should be having everyday in my life. I hope you will have a great week ahead and remember to create something fun! Hello there, greetings! Thanks for stopping by. Today, I want to share a page that I’ve made for my boy’s birthday. Didn’t use anything new, everything from my old stash.. no purchase is allowed at the moment since I still have packs and packs of stuff in my scraproom. 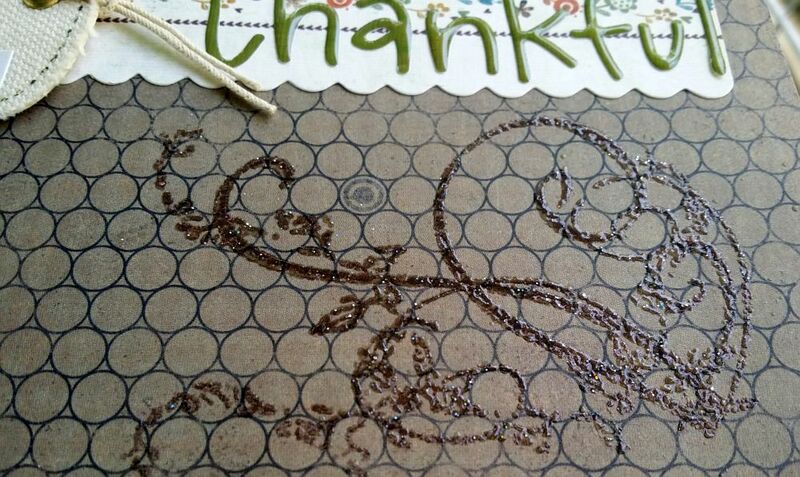 Last picture shows that Prima make-a-swirls stamp with embossed powder. That swirls set is very versatile, can use it anywhere of the page. That pop-up flower on the top left is from Basic grey, same goes with that swirl. They are the layered stickers. While those two green and yellow flowers are from Original Collection that I got from Popular bookstore. Never thought I would have found any scrapbook stuff there. Now even Kaison are selling sticker alphabet from American Craft at just RM3.90! Just added some Prima flowers and roses. Those little owl and animal’s pegs shown on the wall are from Kaison too. It is what happy place that I like to browse.. and well.. sometimes bought cute stuff for the house.